Whimsical Seashells would make a wonderful addition to your ocean themed decor. 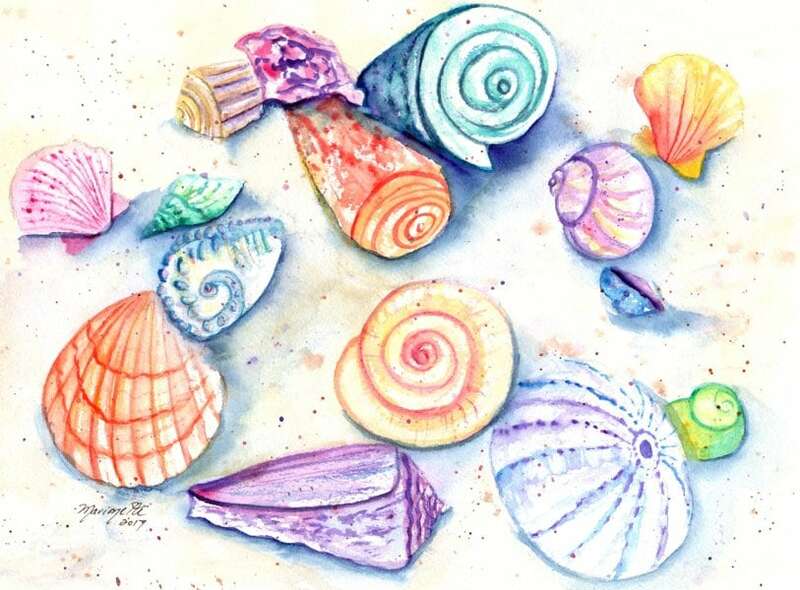 "Whimsical Seashells 2" This giclee print is signed by the artist and printed with archival inks on radiant white watercolor paper. It is a reproduction of an original watercolor painting and comes packed in a clear sleeve with a backing board (unframed). Colors may vary slightly from monitor to monitor. beautiful print to put about a big bowl of tiger cowries.